We are pleased to announce the last years lead counter, Bob Baez has returned this season. Some very uncooperative weather and snow machine breakdowns postponed our start date to March 21st. 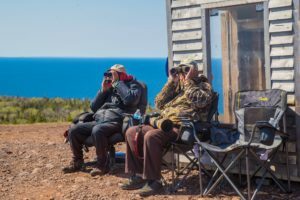 The board of the Keweenaw Bird Research Group are thrilled to have completed another successful spring survey! Thank you Bob Baez, this years lead counter for braving Brockway and doing a great job! Also, thanks to the sub counters; Joseph Youngman and Deb Mues for filling the voids! 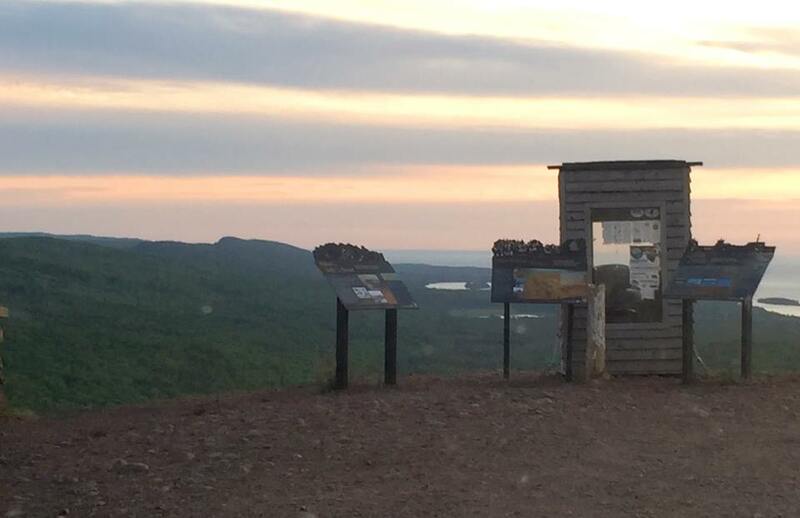 Thank you Bill Degowski for being our “shack man” again this year and the volunteers that helped place it on the top of Brockway Mountain. We would also like to give a giant THANK YOU to those businesses and organizations that supported us and helped the BMHW complete another season! The local breeding raven pair’s young have fledged. 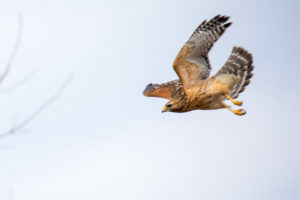 The hawk count is winding down with June birds hard to come by. To celebrate the end we have a special offer. For a modest donation guests can take a tour of the Shack. Explore its nooks and crannies and decide where you would place your coffee mug (where would the pros put this precious liquid). Take a spin on the comfy swivel chair. Close the door and pretend it’s March and the only thing keeping you alive is the Shack. Then put up Tim Baerwald’s custom crafted netting to cover the door opening and see how that oh so thin barrier can save you pints of blood while you are in the Shack and the black flies are not. A trained, trusted volunteer will vigorously shake the Shack so you can experience high wind induced dancing vision in 3D. You will not be allowed to spin in the chair while the Shack is being shaken for liability reasons. If Brockway was Disneyland this would be a Z ride. Offer expires June 15. 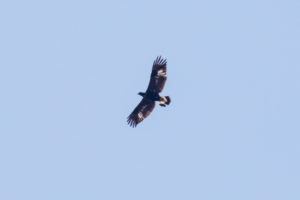 And maybe you will see a few raptors. Most of the Broad-wings are adults with immatures still to come. May 13 was the day all the aspens in the valley leafed out and the forest on the top of Brockway is mostly in leaf. The count goes on. The photo by Sally Clarke is of the counter, Randy Clarke and the Shack.